Four years ago, Capt. Sully Sullenberger landed U.S. Airways Flight 1549 in the Hudson River. On Monday, his copilot, Jeff Skiles, was at the Carolinas Aviation Museum in Charlotte, N.C.
“Everybody on board that aircraft has some memory of where they were standing, where they were sitting, so it’s always going to be impactful to come back here,” Skiles said. 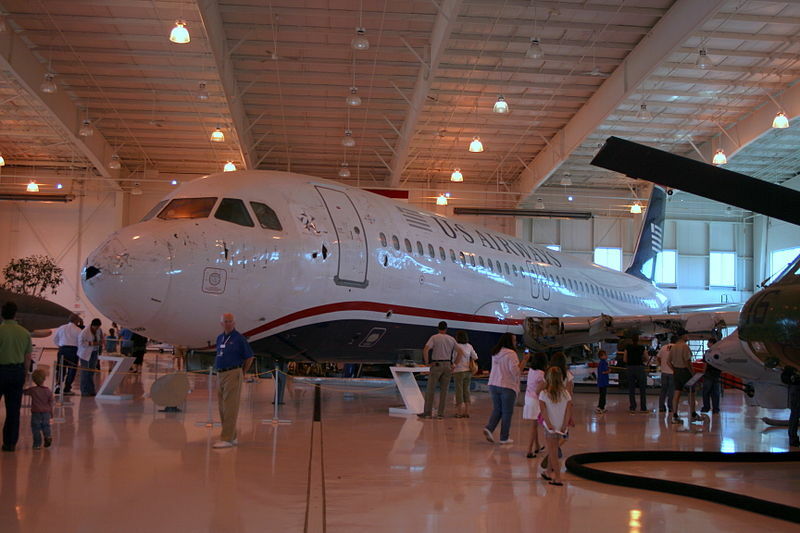 Four years later and more than 600 miles from New York’s Hudson River, Flight 1549, an Airbus A320, now sits propped up inside a hanger as a museum piece. For Skiles, Monday was the first time he’s seen the wreckage put back together. For the complete story by Andrew Doud of WSOC-TV, click here.